Each year a vaccination is developed to combat the current strain of influenza, more commonly known as “the flu.” One of the best ways to prevent the flu is to get a flu shot, but many wonder if it’s really worth it. In the following post, we’ll break down the benefits of getting the shot, and how to determine if it’s right for you. Influenza is a disease that can become serious—even fatal—in some patients. 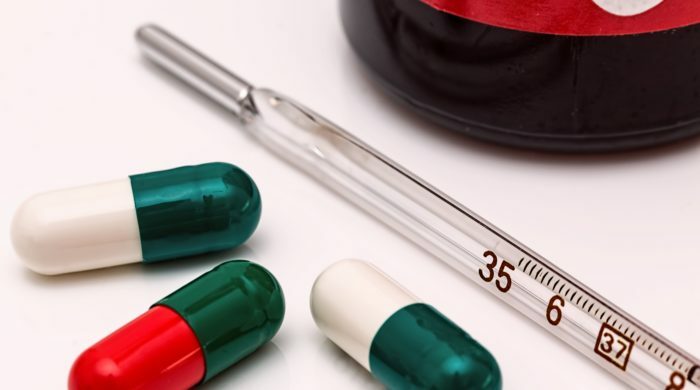 Each flu season a new strain emerges that can be vastly different than the last and cause adverse reactions for different people. Although flu vaccines are readily available in most areas of the U.S., millions of people still get the flu every year. Of those millions, several thousand are hospitalized and in the most serious cases, lose their lives. How can a flu shot help? In the first couple of weeks after someone gets a flu shot, antibodies develop and build a shield against infection using the viruses contained in the vaccine. There are three types of major influenzas (A-H1N1; A-H3N2 and B) and the traditional vaccine is created for those three. A separate quadrivalent vaccine is also made to protect those three types of the flu, plus an additional B virus. There are also different types of flu shots specifically tailored to those who are 65 years of age or older. The body’s immune system response will naturally lessen over time, which is why it’s important to get a flu shot annually. Health professionals also update the vaccines based on the specific strains of influenza that emerge each year. It’s recommended that everyone above the age of 6 months get a flu shot each year. You can’t catch the flu from getting a flu shot—that’s simply an unfortunately popular myth. Because it’s created from an inactivated virus, the flu vaccine is unable to transmit the flu. Just because you may have never had the flu doesn’t mean you can’t catch it. It’s wonderful if you’re in good health and haven’t had to suffer in the past, but that doesn’t mean you should compromise your future health by neglecting to get a shot. If you get the flu, you have a greater risk of having a heart attack. If you’re pregnant, have cancer or have HIV or AIDS, you’re at a greater risk of complications or serious illness if you catch the flu. The CDC estimates that the flu vaccine prevents flu-related illnesses by over 60%. The flu shot is covered by most health plans due to the Affordable Care Act, so there are seldom out-of-pocket expenses, and if there are, they’re typically minimal. If you catch the flu, you could be responsible for spreading it to people who are less healthy or may have risk factors that you don’t have, therefore putting others in unnecessary danger of illness. It only takes a few minutes to get a flu shot. In fact, filling out the paperwork usually takes longer than the actual procedure. Flu shots are readily available to be administered by trained professionals at clinics like Western Washington Medical Group Family Practice. What if I’m still not sure I want to get the flu shot? There’s no harm in speaking to a professional if you still have questions about the importance of the flu shot. A great place to start is the Western Washington Medical Group Family Practice where you can learn more about consultations and services offered. To send a message to the team, go directly to the Contact page and complete the form.